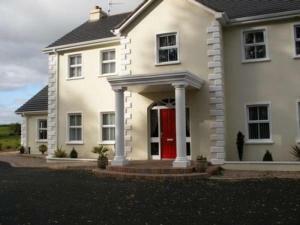 Choose from 3 hotels and guest houses in Tyrone. Shown below a just a selection of the hotels available. To search within an area please use the menu on the right. With a peaceful countryside setting, just 10 minutes from Portadown, this modern guest house offers free wireless internet access and luxurious accommodation at great prices. Built in 2008, Birches Guest Lodge has a convenient location, just off junction 12 of the M1 motorway. Free private parking is available on site. The lodge offers exceptional hotel-style accommodation in 7 modern en suite rooms. Each room boasts crisp white bed linen, a hospitality tray, refreshments and a plasma flat-screen TV. Each of the en suite bathrooms has a bath/power shower. In an attractive rural location, conveniently close to the region's major roads, Birches Guest Lodge offers high quality hotel-style accommodation at bed and breakfast prices. These luxury self-catering cottages have a scenic countryside location in Pomeroy. Each cottage has an open fire, eco-friendly solar panels and modern comforts including a DVD player. 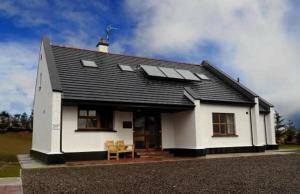 Sperrin View Cottages are finished to a high standard, and come with either 3 bedrooms or 4 bedrooms. Each cottage has central heating and a fully equipped kitchen with dishwasher and a washer/dryer. Pomeroy is about 13 miles (21 km) northwest of Dungannon. The nearest village is 2 miles (3.2 km) away so you are not too far from the action.